Later in the 20th century it was referred to as, the brain-injured child syndrome, minimal brain damage, and minimal brain dysfunction. It wasn’t until the 1980s that the term Attention Deficit Disorder was included in the Diagnostic and Statistical Manual of Mental Disorders (DSM). The latest version, the DSM-5, published in 2013, separates the disorder into three distinct types, or “presentations.” The three, simply put, are 1) hyperactive, 2) inattentive, and 3) combined. 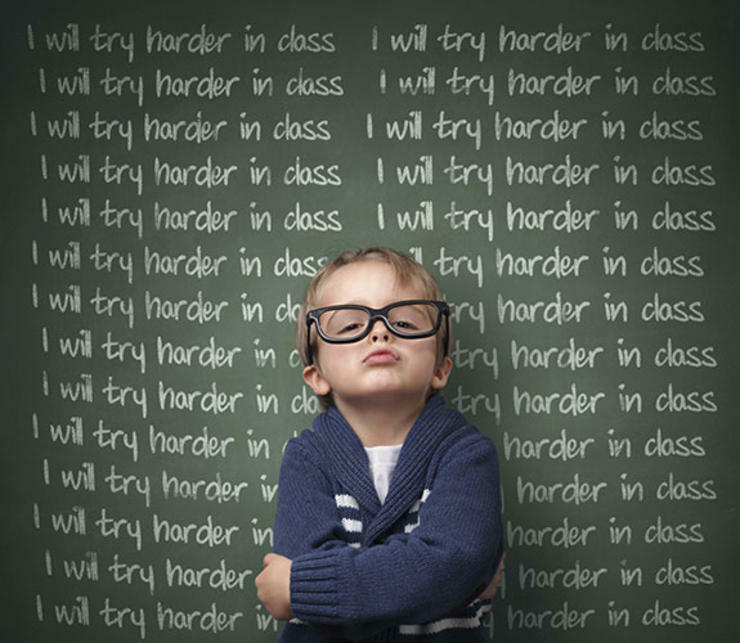 People still argue about the terms “hyperactive” and “deficit.” Adults with ADHD are often driven, energetic, and impulsive, but the term hyperactivity is considered childish and insulting. Children and adults with ADHD might seem not to be able to pay attention, but chances are that they are paying attention to too much, and not able to isolate that to which they are supposed to be paying attention. Attention deficit, then, is actually an attention excess. Hank Green, of Vlogbrothers fame, recently did a video blog (vlog) entry about his own experience with ADHD. Coincidentally, I answered a Facebook question about a similar disorder about the same time as Hank’s video was released. The Facebook question implied that the disorder wasn’t real and was just an excuse for misbehavior. It may be true that some doctors over-diagnose ADHD, but that doesn’t mean that the condition doesn’t exist. To those who live with ADHD it’s very real (the DSM-5 gives specific criteria for the diagnosis which you can read here). Disorders are only classified as disorders when they’re ongoing, frustrating, impairments. In other words, a rambunctious, active child is not necessarily suffering from ADHD if his behaviors are within the normal range and there is no impairment in social and occupational (school) functioning. In other words, if it doesn’t cause serious problems in social situations, home, or at work or school, it’s not ADHD no matter how “hyper” the behavior. Child A reads adequately, but has difficulty concentrating and remembering. He often falls asleep when reading, does not complete homework, and has trouble remembering details. He has high intellectual ability, but fails academically because of 1) his inability to remember things he reads and 2) his inability to pay attention during discussions. Furthermore, he has a tendency to fly off the handle at real or imagined slights. He reacts without thinking and often becomes enraged if things don’t go his way. He is frequently impulsive and will often do things which cause upset to others due to his inability to control his behavior and speech. Because of this he has difficulty in social situations and is often isolated. Child B has some trouble sitting still. He needs a lot of room to move around and sometimes breaks things at home because of his inability to control his large motor movements. His mother has put valuable pieces away and has provided a place in the basement where he can jump and play without breaking things. He is encouraged to go outside whenever the weather permits to “run it off.” At school he will sometimes drop things during class, or bump into people, but is generally easy to get along with and is an above average student. At recess he is constantly active, but is able to settle down when he returns to the classroom. In the examples above, Child A is the child with ADHD. While he is not hyperactive he is inattentive, impulsive, and unable to focus and remember things. This condition is causing problems both at school and at home, and among his peers. Child B shows some symptoms of “hyperactivity,” but those symptoms aren’t getting in the way of his social functioning and school achievement. After discounting other possible conditions, a competent professional will correctly make a diagnosis of ADHD for Child A.
ADHD can be debilitating. About half of all children with ADHD also suffer from a related condition such as a learning disability, or have symptoms of another disorder like depression or anxiety. Treatment for ADHD varies with the patient. Hank describes what’s needed for treatment. There’s kind of two parts to minimizing the negative effects of your brain not working…normal. Changing the environment to suit the brain, and then  there’s improving the functionality of the brain itself through things like medications or mindfulness or exercise. Figuring out how to live in your own mind and your own body is, like, the task of your life. Full disclosure: Child A, above, was me. I went to elementary school in the mid 50s and was diagnosed with minimal brain dysfunction (MBD). Back then Ritalin was used to treat kids diagnosed with MBD and hyperactivity. Since I wasn’t hyperactive, I received no medications, or any other treatment, for the condition. Most of my elementary teachers were kind and patient, but weren’t sure how to help a student who couldn’t remember what he read and couldn’t focus when explanations were given. Meanwhile, I had learned (through a massive personal effort) to control my temper (see Child A, above). I still embarrassed myself repeatedly by blurting out the wrong thing at the wrong time, but at least the fights occurred less often. Every school year started with me promising myself that I would do better. I promised to keep up with my classwork, and pay attention in class…but after a few weeks I was already lost and far enough behind that catching up was rarely an option. Hurtful and embarrassing phrases directed at my “deficit” increased…from school and home. I became convinced that I wasn’t very bright. My friends were good students, but there must be something wrong with me. I often heard the dialogue in my head, “What were you thinking?” “You’re just lazy,” “You’re just not trying,” “Maybe you’re not really smart after all.” The phrases and lectures were, I’m sure, meant to encourage me, but instead they taught me that I was incompetent, incapable, and inept. Somehow, and with a significant amount of help (and many mistakes), I got by. I even went to college and earned a teaching degree…and I only almost flunked out once. During my teaching years I continued to question my ability and competence, despite receiving good reviews from principals and positive feedback from colleagues and administrators. After spending 20 years in general education classrooms, I moved into a position as a reading specialist. When offered the job I jumped at the chance. Here was an opportunity to help children who were struggling in class, like I did when I was their age. As part of my work diagnosing learning problems, I began to learn about students with learning disabilities and ADHD. Reading about the struggles students had with reading and ADHD was like reading my own biography. Finally, after all that time (I was nearly 50), I began to understand the source of my own academic and social failures. I was fortunate. A few of the bullets below apply to me, but I have been able to get by in life with a bit of luck, hard – sometimes stressful – work, and most of all, the patience and help of family, friends, and professionals. 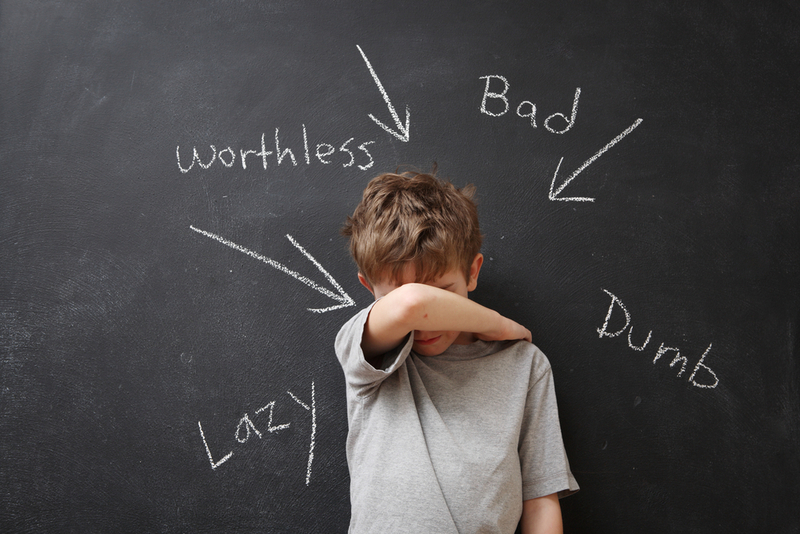 Most people who have untreated ADHD are not so lucky. Children with ADHD who fare the best are those who have effective parents, are correctly diagnosed, and receive a combination of psychological, behavioral, educational, and pharmacological interventions. Yet even when treated, ADHD has a significant impact on an individual from childhood through adulthood. When ADHD is left unmanaged, every area of life is negatively affected. In fact, research shows that untreated ADHD is one of the most highly impairing disorders to live with. Kids, and adults, with ADHD are not just “normal kids being kids.” In order to be classified as a disorder it has to be beyond what is “normal” and have a significant impact on one’s ability to function in society. With appropriate treatment, however, children and adults with ADHD can thrive. Two recent articles from ADDitude Magazine suggest that large numbers of children and adults are having trouble getting treatment, for two separate reasons. First, children of color are not being identified as having ADHD at the same rate as white children when, in fact, the condition is present and consistent among all racial, ethnic, and economic groups. The reasons for the discrepancy based on race and ethnicity is complicated, but one factor is health insurance inequity. It’s clear that a significant number of children and adults with ADHD are “falling through the health care cracks” based on the fact that health insurance rates are lower for people of color. Children are struggling in school because of lack of diagnoses. Adults are struggling with job loss, relationship issues, substance abuse problems, and other symptoms of ADHD because of the inability to afford treatment. The lack of insurance, coupled with diagnostic biases – assuming that “certain” kids are just “bad” or “uncivilized” instead of seeking a neurological source for misbehavior, the taboo of mental health issues, and fear of medication are all part of the problem. Second, the lack of health insurance is not the only economic issue when it comes to affording medical care. 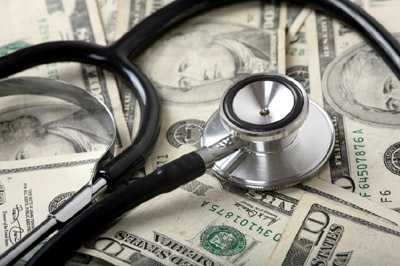 Often insurance doesn’t cover the complete cost of treatment. ADHD diagnosis and treatment can cost thousands of dollars a year when one factors in medication, psychiatrists, and therapy. When health care dollars are short, an “invisible” diagnosis like ADHD has a tendency to get slighted. ADDitude surveyed readers and found that people often found ways to work around the limitations of poor or non-existing health insurance. Sometimes this “working around” meant not getting needed treatment. Given the fact that untreated ADHD is so damaging, we can’t afford to ignore the consequences of this health issue.